Microorganisms in the gut could play a role in reducing the severity of malaria, according to a new study co-authored by UT researchers. Steven Wilhelm, the Kenneth and Blaire Mossman Professor in the Department of Microbiology, and Shawn Campagna, associate professor of chemistry, partnered with Nathan Schmidt, assistant professor of microbiology and immunology at the University of Louisville, to examine the gut microbiomes of mice. They discovered that the severity of malaria is not only a function of the parasite or the host but also is influenced by the microbes in the infected organism. The research could one day help scientists develop new treatments for malaria in humans. The findings publish this week in the Proceedings of the National Academy of Sciences. 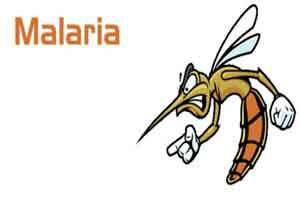 Malaria is a mosquito-borne disease, and those with the illness often experience fever, chills, and flu-like symptoms. It may be fatal if left untreated. Malaria transmissions typically occur in sub-Saharan Africa and South Asia. During the study, the research team found that genetically similar mice acquired from different vendors showed significant differences in pathology after infection with malaria. The researchers measured the mice gut microbiomes—via DNA sequencing of the bacteria in the digestive tract—and noted significant differences within the different populations. Schmidt directly transferred the gut microbiomes to other mice and was able to show that the differences in disease severity were transferred. The researchers observed an increased abundance of bacteria common in yogurt in the mice that exhibited reduced malaria pathology. When mice were fed a yogurt containing these bacteria the researchers discovered that the severity of malaria decreased. “These results demonstrate the possibility of modifying the gut microbiome to prevent severe malaria,” Schmidt said. Wilhelm noted that while the research interventions lessened the severity of malaria in mice, it did not prevent or cure it. The researchers are a long way from perfecting similar treatments in humans but are working on understanding the mechanism. “A way to help people who are infected—and especially a simple and cheap way, as much of the infection occurs in the developing world—would be a great service to society,” Wilhelm said. The study was supported by the National Institutes of Health, the American Cancer Society and Wilhelm’s Mossman Professorship.